Margaret Vance is Nurse Consultant in Gastroenterology at the Wolfson unit for endoscopy at St Mark’s hospital. She leads a team of specialist research nurses and nurse endoscopists providing gastroscopy, flexible sigmoidoscopy, colonoscopy and capsule endoscopy at St Mark’s Hospital. 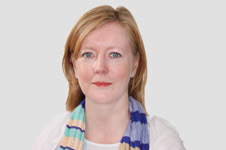 Margaret has a wide experience of training both nurses and doctors in flexible sigmoidoscopy and colonoscopy and developed the first completely nurse-led theoretical and practical flexible sigmoidoscopy training programme at degree/MSc level for trainee nurse endoscopists in the UK. She has been involved in the development and implementation of all Wolfson Unit training programmes for both doctors and nurses and has lectured and demonstrated colonoscopy skills at both national and international endoscopy conferences. She was the first nurse in the UK to be accredited as a bowel cancer screener, performing colonoscopy screening and is a national bowel cancer screening assessor for the UK screening accreditation process. She has been the chief endoscopist on several research trials including detection of dysplasia in patients with an Ileoanal pouch, comparison of virtual colonoscopy to conventional flexible sigmoidoscopy and colonoscopy, the development and efficacy of nurse-led rectal bleeding clinics and has assisted as an expert endoscopist on all major trials performed within the Wolfson Unit for Endoscopy St Mark’s Hospital.